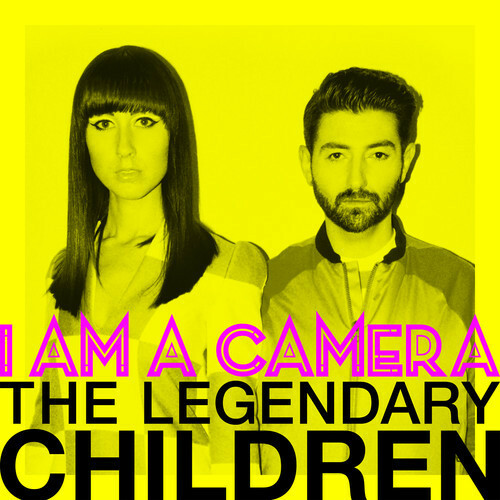 August 25 will see the release of I Am A Camera's single "The Legendary Children" via Tim and Danny Music. The duo Francesca and Ian covered Pet Shop Boys hit single "Rent" earlier this year, and reached #2 on Hypemachine and their single "Factory Boys" reached #1 on Hypemachine. "The Legendary Children" is the latest addition to their catalogue of music and one of the catchiest songs from them ever. I Am A Camera bring us this feel good, catchy song as like most of their music that they put out. The finishing touches get put on the remixes to "The Legendary Children" from the top dogs of the underground - Ms Jodie Harsh, Severino and Hi-Fi, Sean aka Up Yours, new DJs in town Mr Jones, Goldlines and BFK and the truly legendary Mark Moore and Roland Faber. A wicked lineup of remixes awaits us as well as the video for "The Legendary Children" - "our influences were the film 'Spring Breakers', Dee-Lite, Pedro Almodovar and Roy Lichtenstein - all the classics". Look out for live shows from I Am A Camera later on this year throughout the UK!